Der CCD.eV. wünscht ein frohes Osterfest ! 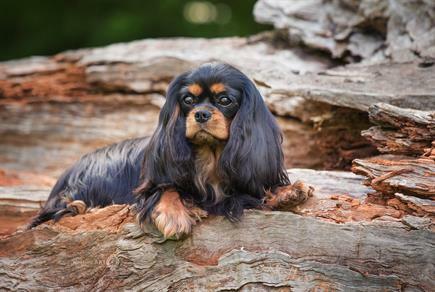 I have been in the Cavalier world for more than 20 years and bred Cavalier King Charles Spaniels under kennel name du Joyau de Kandahar and more recently Jewel Quest. My Cavaliers are based on French and British bloodlines. Because of my professional activity, I only produced one or two litter per year and focussed on my blenheim and Tricolour line. Dogs are part of family life. Their welfare and the health of their ancestors are very important to me. Being a scientist, I have been leading the health policy of the French Cavalier and King Charles Spaniel club for more than 10 years. I became a judge six years ago, and I have been lucky to judge Cavaliers at the two main events in France, the Club Show and the French Winner Show, in Sweden and in Australia. I feel honoured and really enthousiast to judge Cavaliers at your next Club Show. It is always a great pleasure to meet and share experience with other Cavalier lovers.